Gathered as a congregation in 1629, Tabernacle’s roots are long and deep in New England history. Though our building is across from the site of the courthouse where Salem tried “witches,” ours was not the church so greatly troubled in 1692 (that church is in Danvers, which used to be part of Salem). Surely our early members were caught up in that debate, and must have been divided in their opinions. Roger Conant, the hero of reason who prevailed in the end, came from our ancestral First Church of Salem. His statue stands near the Salem Common, and in the last decade, a memorial has been raised to those good Congregationalists who were executed as witches by their brethren. In those days the First Church in Salem was located a few blocks away, on the site of what is now the Daniel Low building. Fire burned the first wooden building, and over the years the congregation of First Church divided, forming a Second as Salem expanded, and then a Third church, as styles of worship became varied. A majority of the church built a new building nearby and occupied it, and for a while both churches were called First Church in Salem, until the colonial legislature, in 1762, required the group that had separated to give up that name. They then took the name Third Church of Christ in Salem. In the great Salem fire of 1774, their church was burned down. The new church they built in 1777, was a copy of London’s Tabernacle, made famous by preacher George Whitefield, a frequent visitor to the North Shore. ‘The Tabernacle’ became the nickname of Third Congregational, and over time replaced the name Third Congregational. Our present building, built in 1924, is a replica of this earlier Tabernacle. Tabernacle reached a great moment in its history when, on February 6, 1812, Adoniram Judson and five other New England men were commissioned as the first American foreign missionaries. Tabernacle’s minister at that time, Rev. Dr. Samuel Worcester was a leader in the growing world mission movement. Salem was also the center of the Far East trade and Salem port was the destination of most ships that went to the Orient, which is likely why this commissioning was held here. 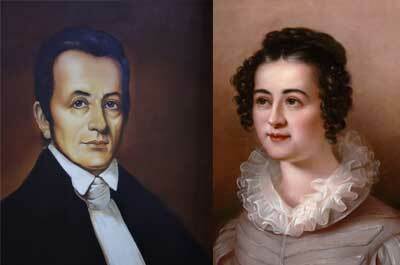 It was the first act of the American Board of Commissioners for Foreign Missions, and, because Adoniram Judson changed his denomination half way across the ocean, it brought into being the world mission work of two denominations: Congregationalists (now United Church of Christ) and American Baptists. Tabernacle still has the bench on which Judson and many subsequent missionaries were commissioned, a cello that was played at that ceremony, a stuffed chicken that arrived alive from China as the pet of the daughter of a returning missionary (who subsequently used her chicken as a mascot for the Mission Movement here), and many, many letters and papers. 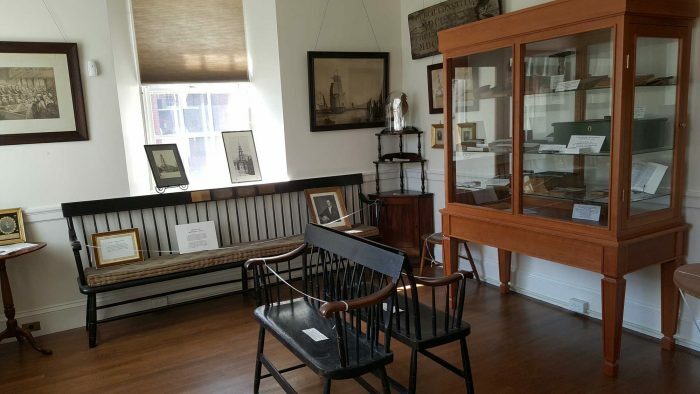 All of these things are on display in the Historical Room, which is available to the public. Please call the church office for hours.